Over 29,631 offers, discounts and deals search to choose from. We have lots of special offers and aim to give you some of the best prices on the internet. We have a vast selection of holiday parks, cottage, boats, villas and so much more. We aim to add more and more offers on a daily basis to give you the best possible choice of holiday. Oh and we mustn’t forget the British all-time favourite, the caravan holiday, with locations all over the country. Psst, we also over adult only holidays too, sshhh! UK Holiday Parks, Literally so many holiday parks for all types of break, there is an amazing choice for whatever type holiday park you are looking for, relax and explore, peace and quiet, lively or even go active..
UK Holiday Cottages, Over 10,000 unique and individual holiday cottages spread all over the country. Where ever you want your holiday cottage, we are here to help. City Break Apartments, We have some great city break apartments in cities across the width and breath of the country, ideal for that business trip, theatre break or even a short break. 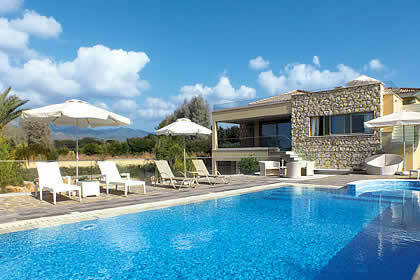 Villa holidays - WOW, we have an exciting and extensive range of holiday destinations across the Med and beyond. Many come with private swimming pools for you to enjoy and excellent facilitates. What’s better than your own private villa? There really isn’t anything else to say, so take a look for your dream holiday villa.